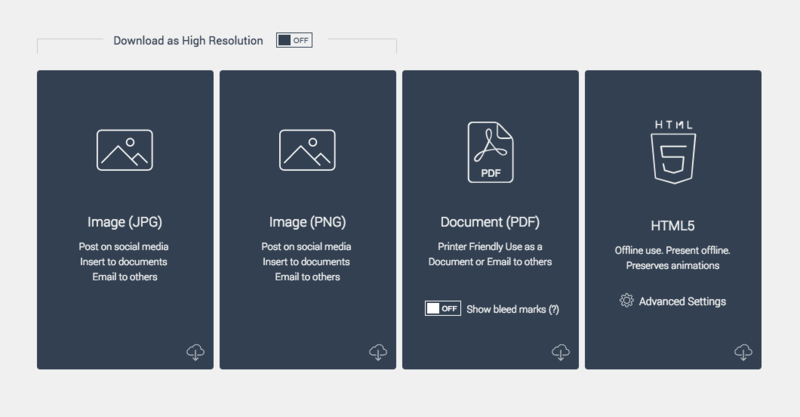 Visme has the capability to download your presentation into JPG, PNG, PDF, or as an HTML5 file which you can use offline. From time to time you might encounter a small rendering issue where the text may get wrapped or not well-presented after the download. Go to editor and check for the Text blocks in your project. Then slightly Stretch the edge of the textbox further to the right so text can have a little more space (or as we call it “breathing room”. Save your project and download your presentation as any of the desired formats: JPG, PNG, PDF, or HTML5. Once you download your design you should see proper text alignment with extra wrapping removed.